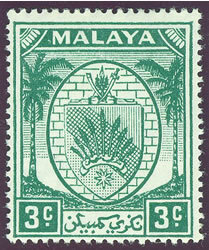 Negri Sembilan State is the smallest of the Malay States. It lies on the West coast of the Malay Peninsula South of Selangor and Pahang. 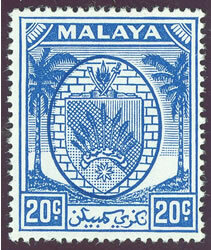 Prior to British influence which began in 1874, it was controlled by the Portuguese, the Dutch, and Johore. 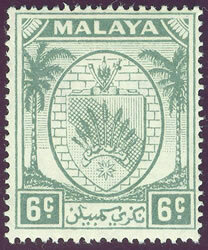 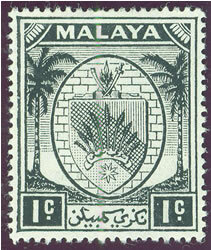 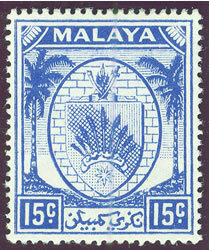 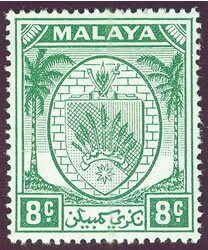 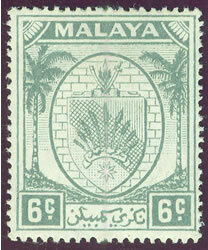 The 1949 set featured the arms of the state, and was printed on paper watermarked with Multiple Script CA. 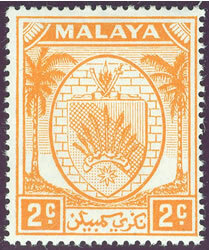 You can identify stamps from this set by sorting the various colors that evolved during the eight years the set was printed. 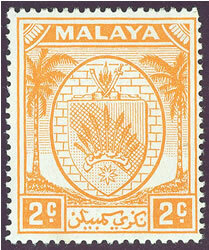 As many as nine printings of some of the values were created. 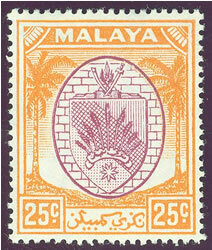 This results in a lot of potential color shades to sort. 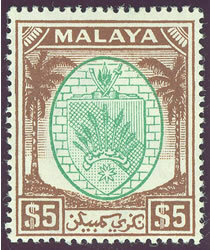 As you will see, not all printings have noticeable color changes, so only the ones listed in the catalogues are shown below. 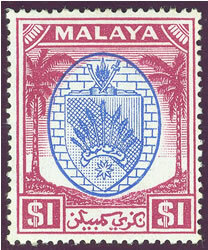 The values that were most heavily printed were the 4c, 10c, and $1 values. 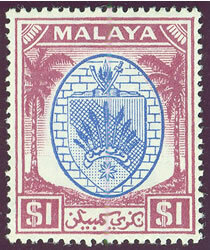 Many collectors have trouble identifying colors. 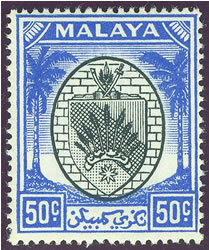 I find it helps to have a number of stamps to sort rather than just one or two. 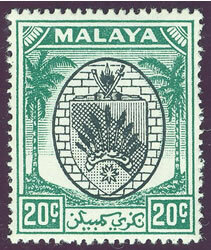 I place all of the same value stamps on black and then white paper and look at them under a strong light. 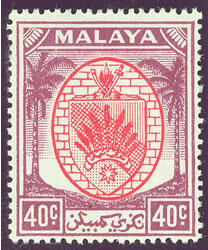 The color differences tend to stand out when viewed this way. Then it becomes a matter of deciding if a stamp is a darker or paler in comparison to the other stamps in the group you are sorting. 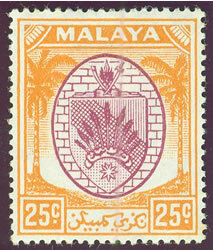 When you have isolated the color differences, look at your catalogue reference to see what is listed. 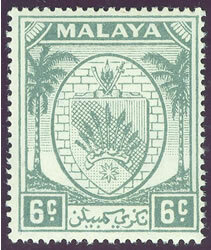 Remember there were multiple printings of this set, so there should be some variation in many of the values. 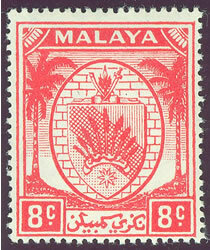 You can use the stamps shown below as a reference of what might be found. 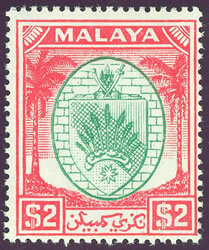 The catalog numbers are from the 2008 Commonwealth King George VI Postage Stamp Catalogue (CW) published by Murray Payne, 2013 Stanley Gibbons Stamp Catalogue (SG) and the 2011 Scott catalog (ST). 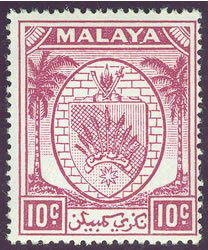 The historical details are from "The Postage Stamps of the Federated Malay States, Johore, Kedah, Kelantan, Negri Sembilan, Pahang, Perak, Selangor, Straits Settlements, Sungei Ujong, and Trengganu" by Dr. F. E. Wood. 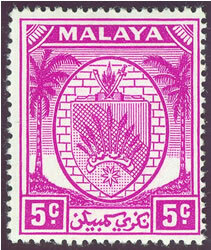 The print dates are described in the 1968 Stanley Gibbons Elizabethan Postage Stamp Catalogue. 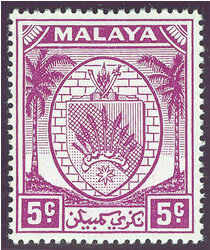 You can access the catalogue publishers using the "Links to British Colonial Stamp Sites" at the bottom of this page. 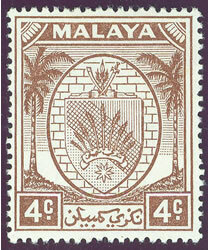 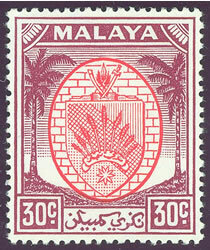 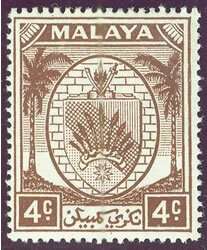 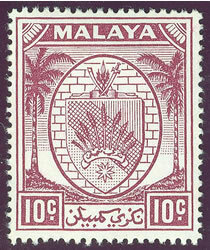 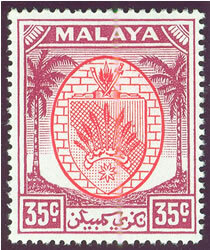 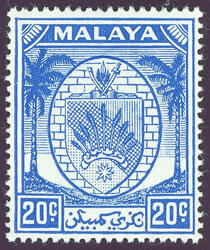 Malaya-Negri Sembilan Stamps for sale based on the identification from this article.